Try-on-Socks: $3.99/ bx. MADE in USA. Shipped from the Factory. Woman Standard DFS: $3.99 /box (144 Socks). Made in USA. Shipped Direct from the Factory. Disposables used in stores to try on shoes. Athletic, sport, knee high hi, hygienic, sox, peds, footies, footlets, wholesale. 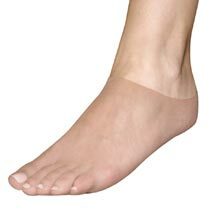 USA's Industry leading source providing, hygienic, Disposable Try-on-Socks to Independent Shoe Stores and National Retailers in USA & Canada. If you are the BUYER for a Multi-Store Organization, a single Store, a Finder or a Distributor and wish to discuss: Quantity Pricing, Terms, or Freight . . . If you are experiencing difficulties in placing your Order . . . If you are in a foreign country other than USA . . . or if you have questions . . .
2) Quality Products - "MADE in USA"
Click on the Picture or the Color of any Model to view the: "QUANTITY-PRICE TABLE"